The Georgetown Mirror has stunning classic beauty and sophisticated style. 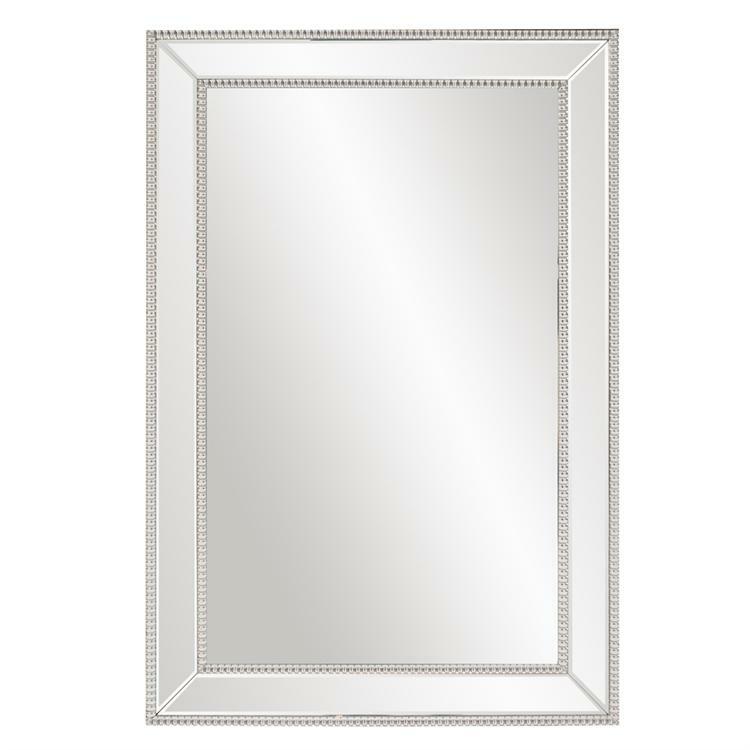 It is rectangular in shape and features a mirrored frame that is outlined with a glass beaded trim. It is a perfect focal point for any design. Hang in either a horizontal or vertical orientation. The glass is beveled adding to its style and beauty. Also available in a larger size. Customizable for larger orders.